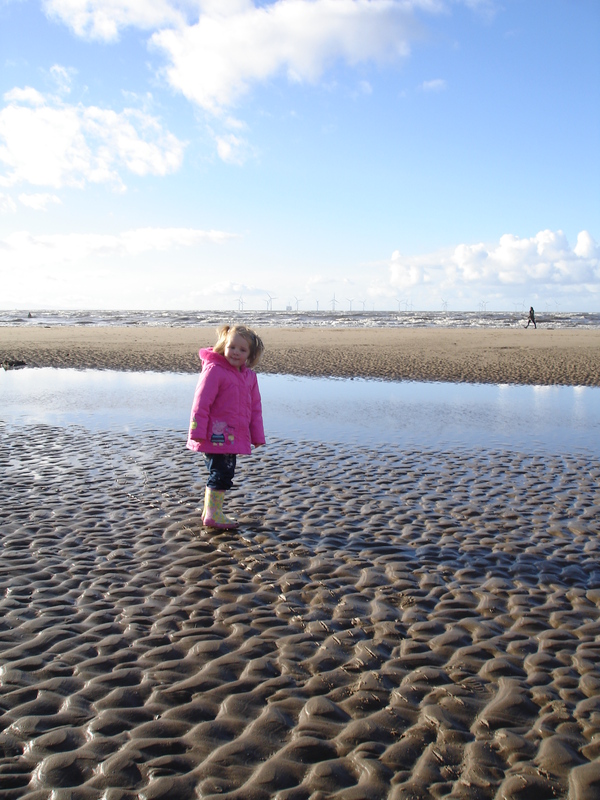 A few weekends ago, we took the girls to Formby beach to see Antony Gormley’s Iron Men, and to take a muddy walk on the beach with Lilly’s wellies. 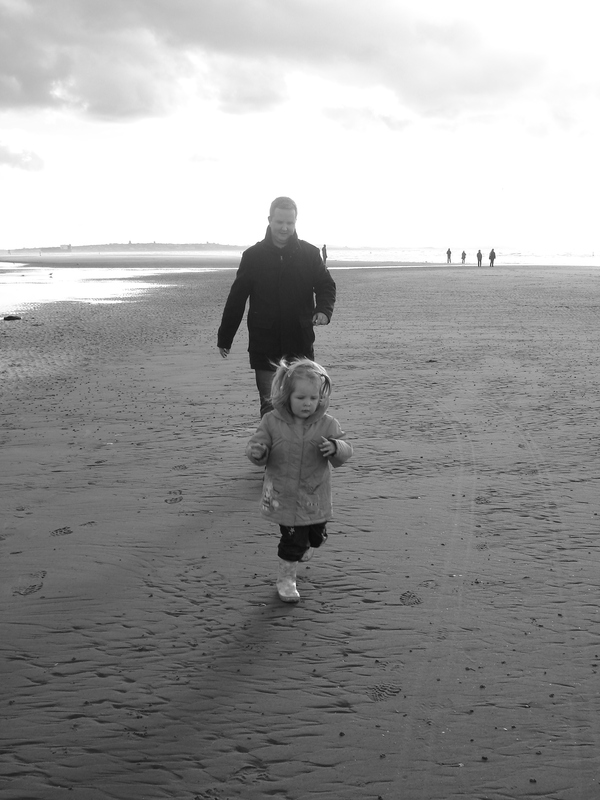 We haven’t been to the beach for a while, and everytime we do go, we wonder why we don’t go more often. 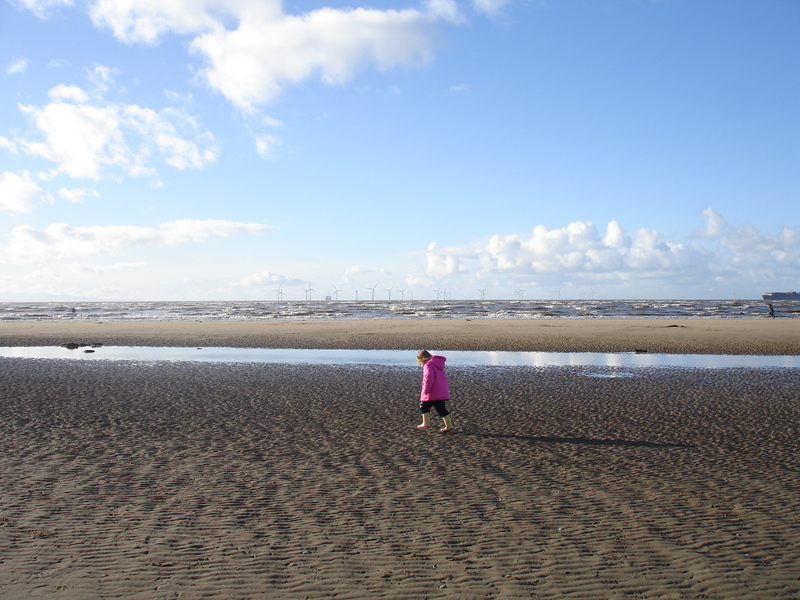 It was a lovely clear, sunny but cold autumn day, and Lilly had a whale of a time splashing in pools of seawater, and drawing pictures in the sand. 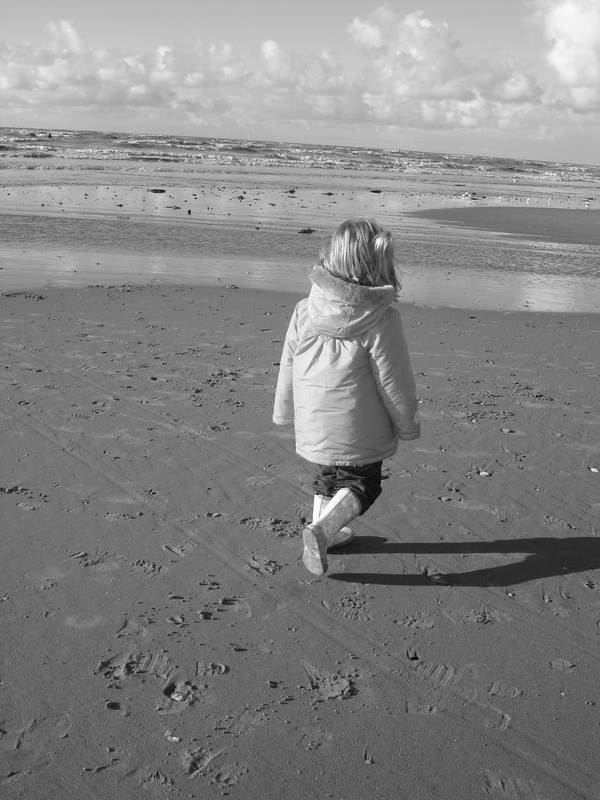 We showed her how to collect pretty shells and even had a bag for her to put them in, but once she discovered she could make a satisfying ‘crunching’ sound by stomping on them in her wellies, collecting shells was well off the agenda! 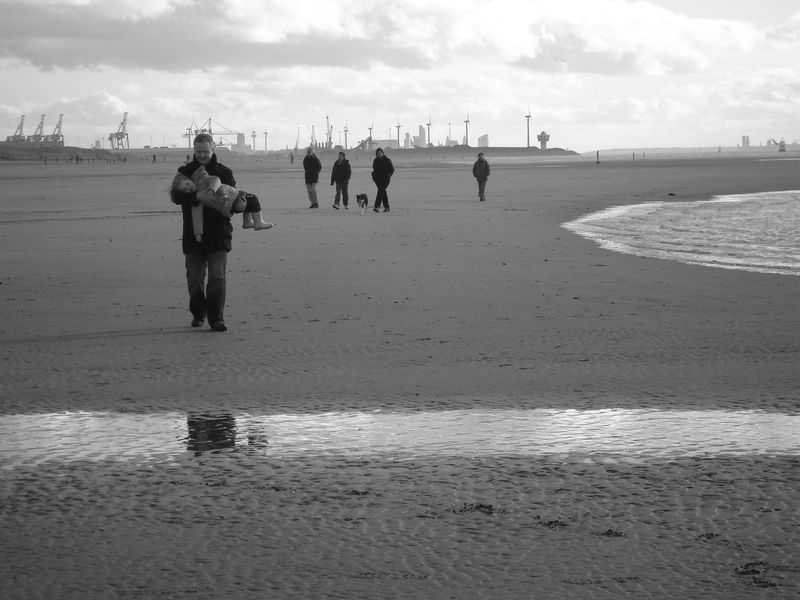 Aw I’ve been there once to visit the ‘Iron Men’ my brother did his final project on the area while he was at Uni in Liverpool so I was delighted to see them. It’s a really pretty place and your pictures are lovely. Family day’s out should be treasured.